As a leader in mill duty and crane brake repairs and rebuilds, Duke Brakes carries a wide variety of replacement o'rings that are designed to resist the most demanding environments. 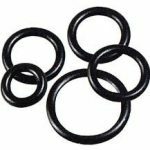 Our technicians will work with you to find o-rings that are right for your brake model and application. See our brands below for specific part numbers and contact us to place an order or to request more information.